A number of insurance-linked securities (ILS) and reinsurance linked investment funds ended 2016 with some loss reserve adjustments in December, ending a year that saw a frequent number of events impact the ILS market. We take a look at some of the events that threatened ILS fund losses in 2016. Two of the biggest catastrophe events of 2016 for the ILS market saw further clarity emerge around impacts, resulting in the need for ILS funds to adjust some reserves. The ILS funds that we’ve seen reserving throughout 2016 are the ones which invest in private ILS contracts and collateralised reinsurance. ILS funds were impacted throughout 2016 by a number of catastrophe events, as well as a few man-made disaster losses as well. But December did not see any new events that caused ILS funds to report new losses, with the only changes to loss expectations coming from some reserve adjustments. The year began with a U.S. winter storm in January 2016 which caused some uncertainty among ILS fund managers although any impact was extremely minimal. Also during the month the loss estimate for the Chinese Tianjin port explosions rose, causing greater uncertainty for exposed ILS funds. In February 2016 ILS funds actually recouped some performance, as loss adjustments saw some value flow back into certain exposed contracts. Additionally, the final determination that the MultiCat Mexico 2012 Class C cat bond was only a 50% loss allowed almost half of the written-down value to be recouped by cat bond funds. Only one new event was thought to have caused a minor impact to a single ILS fund, and that was a Taiwan earthquake event. Significant convective storm events in the U.S. Plains, south and Texas in March 2016 were thought to have caused some limited impact to private contracts, but with ILS fund losses mostly attritional. Some other small reserves were set up on certain ILS structures for a terror attack in Belgium, we understand, and more broadly March saw erosion to aggregate contract deductible layers begin in earnest, which of course meant these contracts became more exposed over the remainder of the year. April 2016 saw a pick-up in the amount of global catastrophe activity, but still the majority of ILS funds got through the month largely unscathed with only small reserves seen, we heard. But again, there was some noticeable erosion to a number of private ILS deductibles, on aggregate or quota share reinsurance contracts. The Canadian wildfires in Fort McMurray occurred in May 2016, which became one of the biggest loss events of the year for the reinsurance industry and with the ILS market taking its share. There were some relatively big reserves set up for retrocessional contract losses during the month and these actually increased further later in the year, in some cases. U.S. severe weather also caused some minor impacts to ILS funds in May. In June 2016 the first man-made disaster loss of the year began to manifest in the ILS fund market, with some of the players who invest in specialty reinsurance risks finding themselves exposed to the Jubilee oil field FPSO loss. Additionally a European flood loss event also impacted a number of private ILS contracts in June. A quieter month of new loss activity followed in July 2016, but the impact of the more severe events seen in previous months continued to flow into the ILS market, with some ILS funds setting up reserves for events such as the Canadian wildfire in July. There were some new convective storms in the month, but any impact was minimal for ILS. August 2016 was quieter, with the major impacts to any ILS funds in the market being from events in prior months or the Italian earthquake, it later transpired, that resulted in August having the highest monthly return of 2016 to that stage of the year. Returns continued to rise in September 2016, helped by seasonality of course, and with little catastrophe activity that actually impacted in the month, ILS funds had their first 1%+ monthly average return of the year. Also in September another man-made loss came to light, as one ILS fund reserved for a loss from the SpaceX rocket explosion. 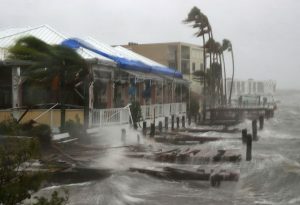 Hurricane Matthew gave the market a shock at the end of September as it approached the U.S. coastline and the market was braced for a major loss in October 2016. As it turned out, hurricane Matthew’s impact to insurance and reinsurance assets was eventually much lower than expected, and while ILS funds did set up some reserves for collateralised reinsurance and private ILS contracts with two funds reporting a negative return for the month, the reserves were not that major considering how impactful the storm could have been had the path not changed on approach to the coast. The Kaikoura, New Zealand earthquake in November 2016 gave the ILS fund market another scare, and some reinsurance-linked investment funds recorded minor impacts due to the quake, but in the same month some ILS funds also recovered ground on an improved hurricane Matthew loss outlook allowing them to adjust reserves. Finally, December 2016 saw no new loss events at all, at least by the time ILS Advisers had reported on its Index figures for the month, but some ILS funds adjusted prior month reserves, specifically for hurricane Matthew and the New Zealand earthquake. December also saw the Gator Re catastrophe bond loss confirmed, the only loss to a cat bond in 2016. The New Zealand earthquake reserves have likely been increased slightly, while hurricane Matthew reserves may in some cases have been decreased as the expectation of losses from the storm continue to be tempered. Some other ILS funds have also increased reserves for the Fort McMurray wildfire in December and set up new loss reserves for the more recent events such as the NZ quake. The end result of all of this loss activity in 2016 was still an average ILS fund return of 5.18% for the year, which is impressive considering the frequency with which catastrophe and severe weather events impacted the sector this year.